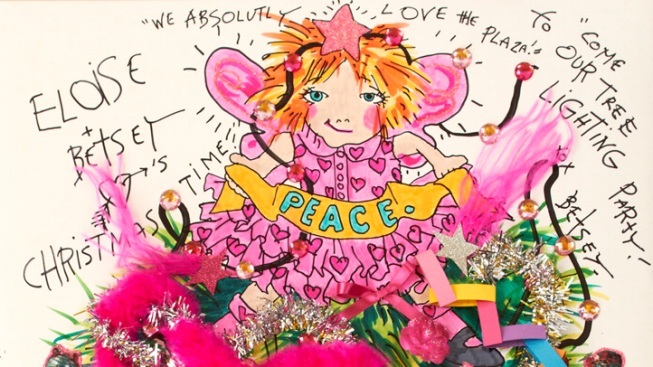 A rendering of designer Betsey Johnson's "Eloise" tree for The Plaza Hotel. For the hotel's first official Christmas Tree of the holiday season, the Plaza has partnered with cartwheeling designer Betsey Johnson, who created a playful tree inspired by Eloise, the little girl who lived in the Plaza in the famous book. Tonight, the hotel will unveil the tree as part of a special "Tree Lighting Tee" in the Palm Court at 5 p.m., where the designer herself will be on hand to fete her creation. In addition to creating a special tree for the Plaza, the designer has also curated a holiday pop-up in the hotel, which has been open since November 14. The tree lighting is open to the public, but visitors need to call ahead for reservations: 212-546-5300.